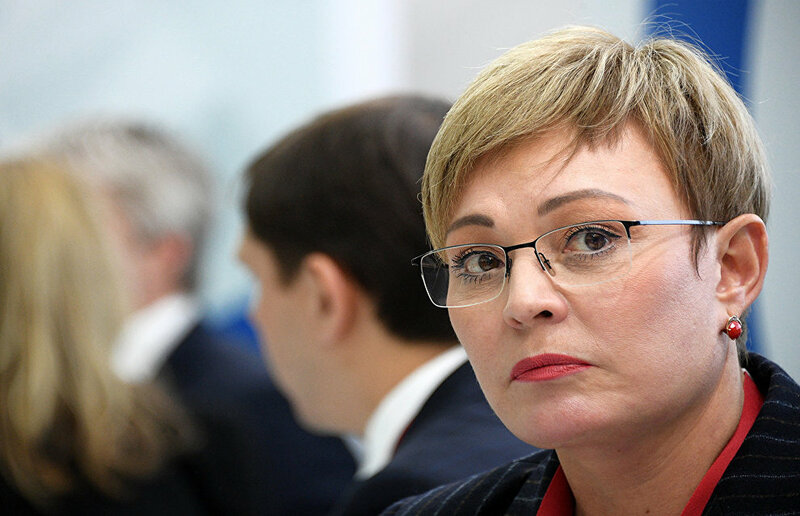 Murmansk Region Governor Marina Kovtun has tendered her resignation and held a news conference at 10:00 on March 21. "I have served in this position for nearly seven years. My term expires this year, and I have taken two important decisions. One of them is not to take part in the gubernatorial elections, because I believe in the benefits of the renewal of power," Kovtun explained. "I have sent a request to the President for the early termination of my mandate, so that my successor will have enough time to analyze the situation in the region. It was a difficult decision to make, but I'm sure that it is for the better," she added. According to Kovtun, during her term she and her team have created a solid foundation for further developing the region. "I am leaving the post with a feeling of satisfaction and even pride," she said. The rumors concerning Kovtun stepping down appeared long before she tendered her request to resign. As of March 19 the media started posting material on the topic, but the information was only confirmed today.